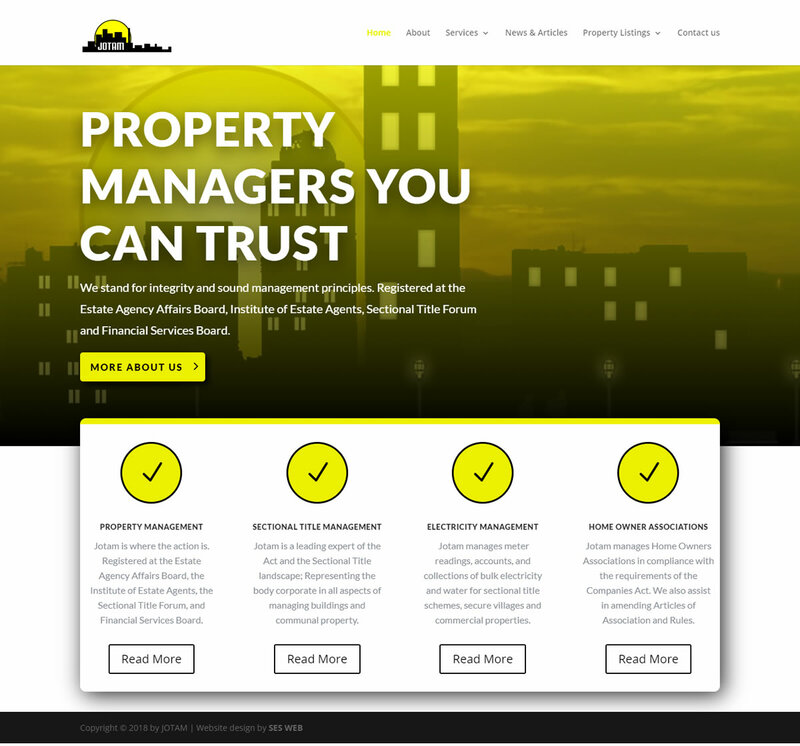 JOTAM Property Management Services is a medium sized company in Centurion and has been in business since 1997. JOTAM offers service that are focused on Sectional Title Management, Electricity Management, Property Management, and Home Owners Association. JOTAM happened to be the very first and longest supporting client of SES WEB, going back to 2004. Since then SES WEB has consulted for JOTAM on various occasions and the latest re-design of the JOTAM website took place in 2018. The main requirements for the latest website included the ability to blog and post articles or news related to their business and industry. An additional feature was added whereby JOTAM agents can add their property listings. The website was developed on the WordPress CMS platform and makes use of a responsive theme to ensure that the website is functional on various devices and screen sizes.